Since 1998, HPSO members have traveled together to international garden destinations in England, Wales, Scotland, Ireland, France, Italy, the Netherlands, Belgium, Germany, Spain, Portugal, Madeira, South Africa, New Zealand and Japan. New destinations - Denmark, Sweden, and Australia are in the works. Closer to home, our U.S. tours have featured gardens in Washington and California. The Puget Sound Islands tour series has highlighted the gardens of Whidbey Island, Vashon Island, and Bainbridge Island. Trips to the East Coast have also been popular. Recent destinations include New York City, the Hudson Valley, Savannah and Charleston. HPSO tours have distinctly garden oriented focus that supports our mission to provide great horticultural education opportunities for our members. Tours include a variety of cultural and historical sites that round out the landscape. Trips vary in duration, and they are filled with activities. HPSO tours represent an excellent value for the money. Tour prices typically include double accommodations, motor coach and professional guide, tour gratuities, many meals, and admission to all gardens and other sites along the way. Participants are responsible for their own transportation to and from the tour's start and finish points, including airfare. Tours are conceived, researched and led by HPSO members with experience in the relevant destinations. HPSO works through excellent international tour companies that are responsible for booking arrangements. Tours are open exclusively to HPSO members. Tours are announced to members through emails, our member magazine the HPSO Quarterly, the HPSO Travel Interest Group (a.k.a. HPSO Travel Club), and on this web page. HPSO Members who wish to have advance notice about tours must join the HPSO Travel Interest Group. There is no fee for joining the group and no obligation to attend extra meetings. Travel Interest Group members receive earlybird registration privileges for HPSO tours. Contact the HPSO office to join and be on a travel-interest mailing list. SORRY. THIS TOUR IS NOW FILLED. Contact us if you would like to place your name on the wait list. The Galicia tour will explore Spain's undiscovered northwest corner plus Porto and the Douro Valley of Portugal. Our journey is timed to coincide with Camellia season, for which the Galicia region is justly famous. Many of our hotels are historic buildings and some are five-star hotels. With a mild climate, rugged coastal scenery, atmospheric towns, grandiose architecture, superb wines, gourmet cuisine and the most delightful, welcoming locals - you'll wonder why you've never been to Galicia before. This 9-night tour is expected to be March 8-17, 2019. "The East of England & the Thames River Valley"
SORRY. THIS TOUR IS NOW FILLED. Contact us if you would like more information. Our Quint[essential] England for Gardeners series continues in another region with this tour - the East of England plus the Thames Valley. The East of England is one of nine official districts, comprising the counties of Hertfordshire, Bedfordshire, Cambridgeshire, Norfolk, Suffolk, and Essex. To these, we add Oxfordshire, Buckinghamshire, Rutland, and a bit of Lincolnshire. In ancient times, this area was the most populous in England and, as such, it is a land filled with history. Today, it is mostly a rural landscape dotted with market towns, churches, and picturesque villages. It also has one of best areas for viewing wildlife. 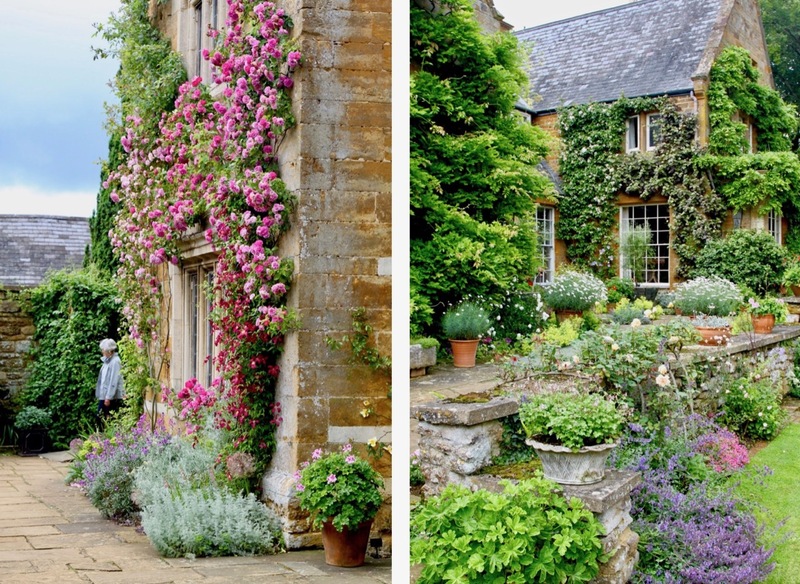 Join us on this garden-intensive tour as we explore this wonderful part of England. We include visits to famous places such as Blenheim Palace (birthplace of Winston Churchill) and the Queen’s country residence of Sandringham House. We visit fabulous gardens such as Beth Chatto’s Garden and the Old Vicarage of East Ruston - a “bucket list” garden not to be missed! We enjoy lunch and bird watching while cruising on The Broads. We visit some of England’s prettiest villages and cathedrals. We include seaside hotel accommodations. Our summer tour is the perfect time to visit gardens as we travel around the East of England and the Thames Valley. "Coast to Coast: The English Channel Islands & Brittany's Emerald Coast"
Grab your hat and sunglasses and join us on this garden-centric, island-hopping tour of the British islands of Wight, Guernsey, Herm, Sark, and Jersey, as well as a small French island, the Ile de Brehat. Before and after our island explorations, we’ll visit gardens on the two mainland coasts, particularly those on Brittany’s Emerald Coast! Not only will we see fine gardens, but our journey will include sites of cultural and historical interest, too. With their mild maritime climate, the Channel Islands offer the ideal conditions for growing a wide palette of flowering vegetation - from Aeonium to Zauschneria. Our tour includes a wide array of gardens, both private and public, and a wide array of garden styles, from an English cottage garden to formal French chateaux. For the visiting traveler, the Channel Islands are a justly popular destination offering sun- kissed beaches, delicious seafood, idyllic landscapes and fascinating history - a mix of both British and French influences. 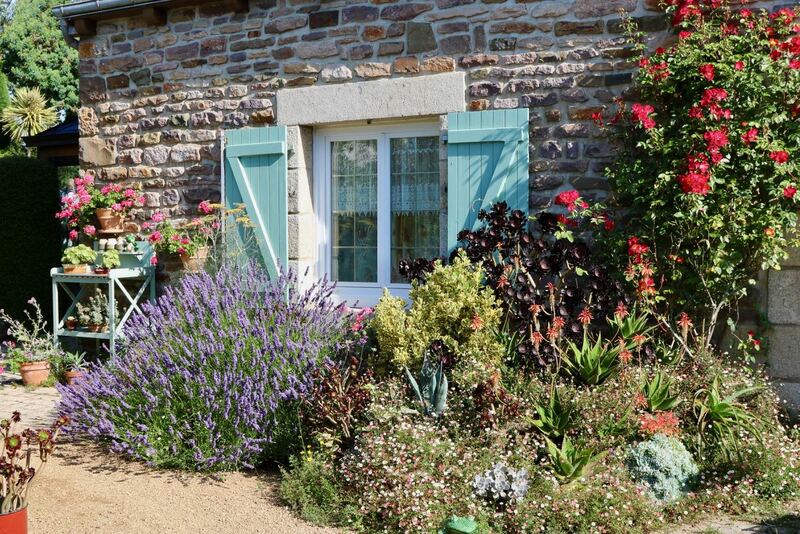 In its own right, Brittany’s Emerald Coast has some of the nicest gardens in France as well as quaint villages and fabulous food. Please join us on this adventure to England’s summer playground! "Past as Prologue: The Gardens of Berlin, Potsdam & Surrounding Regions"
Known for its tumultuous and often tragic history, and renowned as a center of education and culture, Berlin and its surrounding regions also possess a proud gardening tradition, with expensive Prussian palaces and gardens, some of Europe's earliest public parks, and the nurseries of pioneering horticulturists. The region is now at the forefront of environmentally sensitive and sustainable gardening movements. This13-day, 12-night tour takes members on a fascinating journey through a dynamic region, visiting public parks, private gardens and other beautiful and engrossing gardening and horticultural sites. On display, too, are centuries of German history, and the tour includes visits to landmarks stretching from the Reformation through to the 21st Century. Everywhere, tour members meet locals whose passion for gardening transcends the changes and challenges they have encountered. Please check with Jim Rondone for space availability on this tour. "Springtime in New Zealand: A grand adventure to the gardens & natural wonders of the North & South Islands"
SORRY. THIS TOUR IS NOW FILLED. Contact us if you would like more information or if you wish to be placed on the waiting list. New Zealand is a land of stunning beauty and diversity. With volcanic peaks and geothermal hot spots on the North Island to the uplifted "southern Alps" and glacial plains of the South Island, it is filled with contrasts. From tip to tip, New Zealand is roughly the length of Portland to southern California, having a similar range of climates but in "reverse" since it lies in the southern hemisphere. The northern tip enjoys a definite subtropical climate (similar to San Diego) while the extreme southern end is a much cooler temperate one (with alpine areas, too). With all of this diversity comes a wide range of garden styles featuring a wide range of plants - both native and exotic! Join us on one or both of our tours as we explore the gardens and natural wonders of these two main islands of New Zealand - the North Island and the South Island. Included in our visit are the very best private and public gardens. We'll also enjoy fabulous sights, geologic wonders, country towns, a Maori cultural performance, wine tours and tasting, and cruises on the Milford Sound, the Bay of Islands, and across the Cook Strait. We'll do some shopping, see unfamiliar plants, make some new friends, enjoy the camaraderie of other gardeners, and meet the wonderful and friendly people of New Zealand. It will be a grand adventure in New Zealand in the springtime! 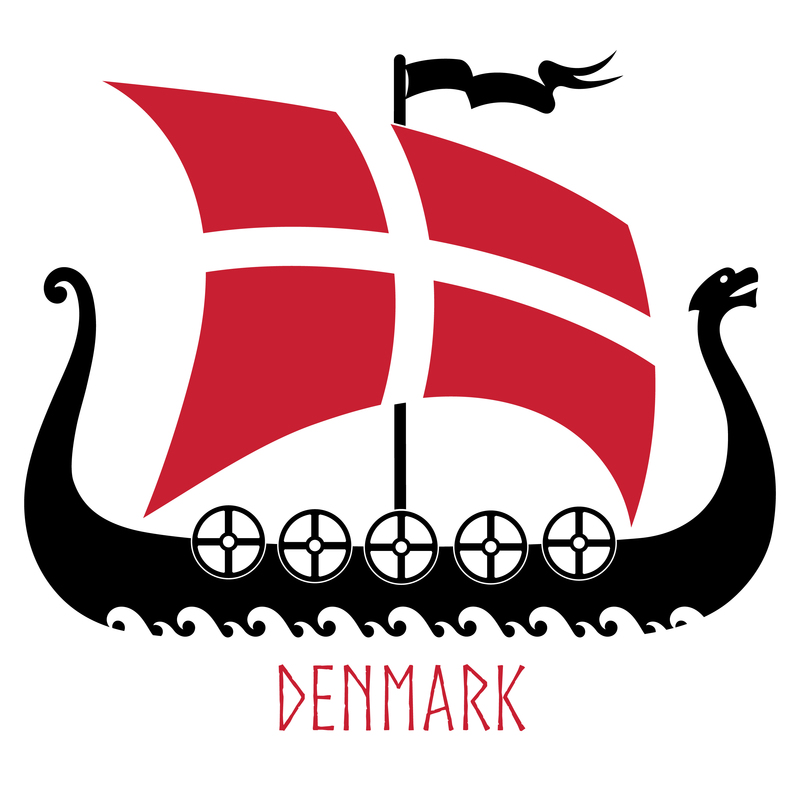 "A Nordic Adventure: Gardens & Castles of Denmark and southern Sweden"
Embark with HPSO on a new adventure to two nations often cited as the happiest in the world. Our tour begins in Copenhagen and ends in Stockholm. We explore gardens and sites of interest on two of Denmark’s main islands, Zealand and Funen, before we cross the Øresund straight into Skåne, a former part of Denmark that became Sweden’s most southern province by the treaty of Roskilde in 1658. After we enjoy Skåne, we travel along the west coast of Sweden, including the cities of Helsingborg and Gothenburg, before we take a scenic train journey across the country to Stockholm, the capital city. The Atlantic Gulf Stream provides northern Denmark and southwestern Sweden with a fairly mild climate, allowing beautiful gardens to thrive. Included on our tour are visits to the best private and public gardens in this region plus Tivoli Gardens and the Malmo Flower Festival which is held just every two years. Also included are visits to palaces, castles, historical sites, and various museums such as the Vasa Museum, the Viking Ship Museum, Hans Christian Andersen Museum, and the ABBA Museum. We might even see the changing of the guard at The Royal Palace in Stockholm and see other festivities on Sweden’s National Day, June 6th! Join the fun on this comprehensive and fabulous tour as we follow in the footsteps of Nordic royalty. [In Planning] "A Tale of Two Cities: Gardens of London & Paris"
Southern France: "The Mystical Land of the Dordogne, of Carcassonne, & Picture-book Provence"
Join HPSO on a new adventure to some of southern France’s most extraordinary regions. In the Dordogne river valley, in Languedoc- Roussillon, and in Provence, humans have left their mark over the ages — from cave paintings in the Paleolithic age — to aqueducts and amphitheaters in the Roman period — to castles and fortified towns in the Hundred Years War — and now to beautiful gardens created in our modern era! This special part of France has all of these things plus a countryside full of world-class vineyards, picturesque villages and chateaux, and a stunning coastline. Our two-week tour begins in the heart of Aquitane in the vibrant city of Bordeaux (one night) and ends near Marseille in Aix-en-provence (two nights). Along the way, we’ll stay four nights in the heart of Dordogne (in Sarlat), then two nights each in Toulouse, Montpellier and Fontvieille. Our tour includes visits to private and public gardens, the Lascaux caves, troglodyte cliff-dwellings, chateaux, medieval towns (including Carcassonne), wineries, and afternoon cruises on the Dordogne river and the Mediterranean’s La Calanques on the southern coast! Join us on this fabulous adventure of this mystical and picture-book area of France. [In Planning] Ireland: "Gardens of the Emerald Isle"
[In Planning] "Australia: Brisbane, Sydney & Melbourne"
HPSO offers custom tours, and we do not repeat our destinations every year. However, there are some popular garden spots that do tend to cycle onto the tour calendar fairly frequently. HPSO members in our Travel Interest Group also provide feedback that helps us with program ideas for new tours. A sampling of our recent tours is provided here. "The Northwest Flower Show (Seattle)"
Celebrating its 30th anniversary, the show is a tonic to passionate gardeners after the cold, dark days of winter. Tour participants had the chance to take in the show's numerous expert seminars, show gardens, floral displays, and marketplace with 300+ vendors selling plants and gardening-related merchandise. "The Enchanting Island of Sicily"
Sicily (or Sicilia, pronounced See-CHEE-lee-ah by the natives) is a varied land steeped in history! As the largest island in the Mediterranean, strategically located in the center, it was constantly invaded over millennia - by the Carthaginians, Greeks, Byzantines, Arabs, Normans, French, Spanish, and Bourbons until it ultimately became part of modern Italy. Join us on this tour of this enchanting island. We will experience equal parts of Sicily’s gardens, gastronomy, history, archeology, and architecture. "Gardens & Villas of Southern Italy"
For thousands of years, Southern Italy has been a desirable destination due to its strategic location, benign climate, beautiful coastline, fertile soil, and fine food! It is a land filled with history. Join us on this southern Italy tour as we see fabulous cliff-top villas, visit the famous archeological site of Pompeii, tour the Pope’s private garden in Castel Gandolfo, visit royal palaces and museums, see the stunning Amalfi coast, and enjoy the magical islands of Capri and Ischia in the Bay of Naples, as well as visit incredible gardens - and a lot more! We will see the most romantic garden in Italy, the private garden of Ninfa, built on the ruins of a medieval village Our main tour will focus on the regions of Campania (encompassing Naples) and Lazio (home of Rome). An optional pre-tour to the Boot of Italy will explore areas further south - the regions of Calabria, Basilicata, and Puglia, visiting the UNESCO world heritage sites of Matera and Alberobello. 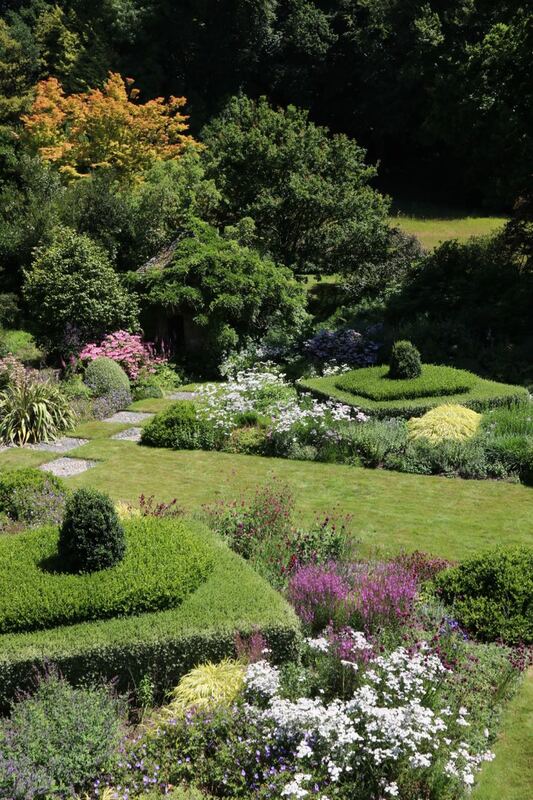 "The Glorious Gardens of Bainbridge Island"
Join veteran garden tour guides Nancy Goldman and Lucy Hardiman on their third “island garden” tour to Washington State. Bainbridge Island, west of Seattle, is noted for its rich history, culture and natural beauty. This 28-square-mile island is home to many gardeners who regale in the opportunities this environment provides. Just west across the water, on the Kitsap Peninsula, horticultural and historical sites fit into the beautiful landscape of beaches, woodlands, and farmland. The tour includes numerous wonderful private gardens, two iconic botanical gardens, and unique garden stores and nurseries. You will be encouraged to buy plants! "Border Crossings: Garden Discoveries in The Netherlands, Belgium, & Northwest Germany"
With this tour, Nancy Goldman and Jim Rondone return to one of their favorite gardening regions of the world. Explore great public gardens and parks, several leading nurseries, and a number of superb private gardens on this 13-day, 12-night tour, which is almost entirely new compared to their 2008 and 2011 tours to the region. Other sites with historical and natural significance are also included. As usual, many of the stops on the tour are seldom seen by Americans or the independent traveler. "Land of the Fynbos: Exploring the Gardens & Highlights of South Africa's Western Cape"
The fynbos forms part of the Cape Floral Kingdom, one of the richest concentrations of plants in the world with over 9500 species! This 12-day/11-night tour of South Africa’s Western Cape will explore the richness of the native flora and discover spectacular gardens (both private gardens and notable public gardens such as the world-class Kirstenbosch). Included on the tour will be visits to exquisite vineyards and wine estates, excursions to the African continent’s most southern points, guided walks through a nature reserve and coastal reserve to view the southern right whales, and even a 2-night stay in a private game reserve with included wildlife safaris! From the architectural and artistic treasures of Catalonia, to the luminous shores of the Algarve - Portugal’s southernmost, south facing province. From Gaudí and Dalí and the buzz of Barcelona, to charming little coastal villages of the Spanish costas oozing with charm. From surprising horticultural gems with influences ranging from Italianate, Moorish, ‘Arts and Crafts’ to individual and private, this culturally-enriching journey through Iberia will leave you with a lasting affection for it’s peoples and cultural wealth. We commence out of high season in the ancient Kingdom of Aragon, to avoid the crowds – and to secure advantageous prices on top-quality hotels – then we head south like the swallows, finishing in the glorious Portuguese Algarve. Our journey follows the coastline mostly, except for when we strike through the snow-capped wall of the Sierra Nevada for our visits to Moorish Granada, Cordoba and Seville. We pull out all the stops to turn every experience into an adventure and every aspect of the tour into something characterful, memorable and unique. Our tour terminates in an enviable setting, so why not consider lingering awhile and rendezvous in the Algarve for Thanksgiving? 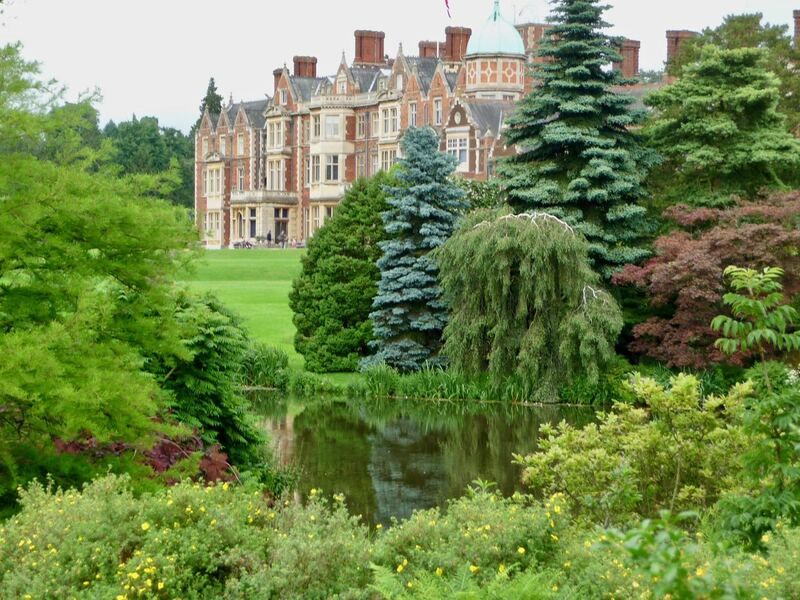 Springtime and Southern hospitality in two of the country’s loveliest garden cities were the focus of this tour. Horticulture and gardening are important to both these communities which is reflected in their many public gardens, intimate private gardens and historic plantations. Magnificent coastline, verdant interior, good food, quaint towns and great gardens converge in Normandy. Situated across the channel from England, this region shares a similar climate and terrain. The English garden style and French garden style intermingle. This extensive tour of Normandy featured the region’s finest gardens and chateaux. 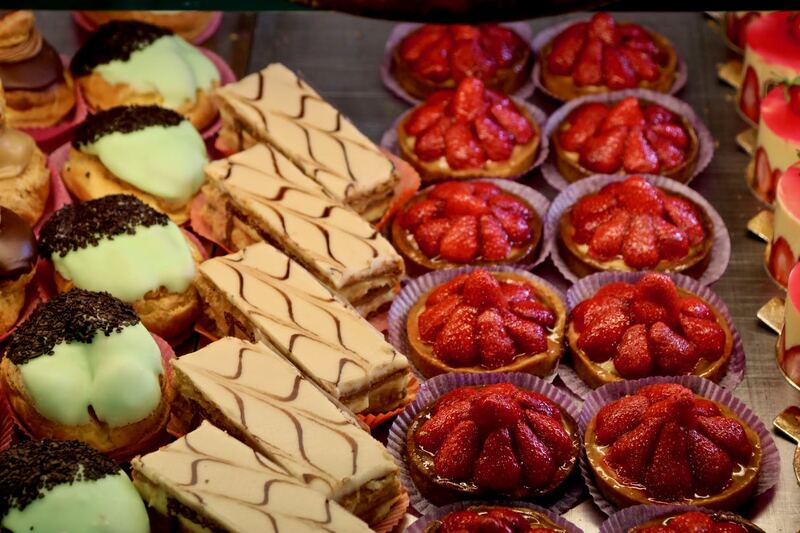 Visits included historical sites from Norman times to Joan-of-Arc to D-day, a Calvados distillery, a camembert cheese museum, and the Fêtes Medieval in Bayeux. Situated on a peninsula jutting into the Atlantic, Brittany’s mountainous and forested land is steeped in its Celtic roots, complete with its own language, Breton, still spoken in many parts today. 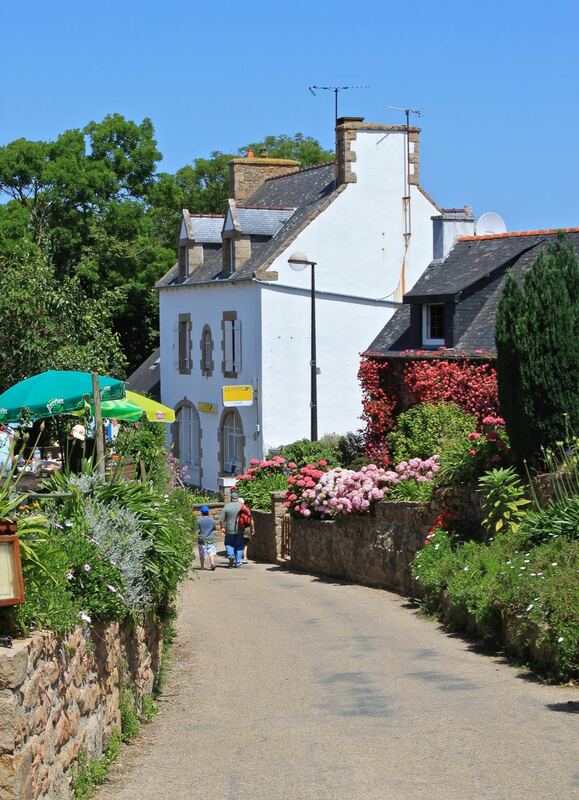 Beyond gardens, this cultural odyssey included: prehistoric megalith sites, a faïence pottery factory, châteaux and medieval fortified towns, the Fêtes Historique in Vannes, Bastille Day celebrations and a day on Belle-ile-en-mer, France’s “Beautiful Island in the Sea”. This tour featured a bit of Somerset, but really highlighted the gardens and history of Devon and Cornwall. From wild moorlands to sheltered cottage gardens, this corner of Britain has a mix of garden styles and climates. Travelers experienced the wonder of the Eden Project biomes, the magic of Tresco Abbey and the charm of the Arts & Crafts manor gardens tucked along the south coast. There was time to explore charming Devonshire and Cornish towns including Exeter, Falmouth and St Ives. This nine-day, eight-night tour explores Cascais and Sintra on the Portuguese Rivera, and the volcanic slopes of the island of Madeira, with its unique flora and fauna. You’ll be astounded by the natural beauty, horticultural diversity and stunning gardens of these locales, including three UNESCO World Heritage sites. This expert-guided, fully escorted tour also includes time for independent discovery. Click here for a brochure describing the full tour and itinerary. Nowhere else in the world is gardening more popular than in England. This tour highlighted some of the very best that country has to offer from large famous gardens to small private gardens off the beaten path. Travelers enjoyed visits to Great Dixter, Sissinghurst, RHS Wisley. This tour was ideal for first time HPSO garden travelers. The rugged landscapes of Wales, the border areas of the Welsh Marches, and the rolling hills of Shropshire offered well known gardens, such as Powis Castle, contemporary gardens and historic garden restorations. In the shadow of the mountains of North Wales finding everything from the classic Welsh garden of Bodnant, to medieval castles and Victorian seaside attractions. The final leg of the tour highlighted the Gulf-stream-warmed gardens Galloway, Scotland. Travelers discovered the many qualities that make Scottish gardens as distinct as their legal, education and religious institutions. Starting in Edinburgh and concluding in Glasgow, this tour traversed the heart of Scotland. Renowned gardens and unknown gems presented varied plant palettes and both historical and contemporary garden schemes. This two-night bus-tour left from Portland to visit some of the exceptional public gardens surrounding Tacoma and Seattle. Travelers were treated to special docent-led tours and a visit to the limited-access Elizabeth C. Miller Botanical Garden. Situated just 22 minutes from the hustle and bustle of downtown Seattle, Vashon Island presents a sharp contract to its urban neighbor. A ferry ride took travelers to a world apart with pastoral beauty marked by farms, orchards, woodlands, serene beaches and spectacular gardens. Travelers explored the gardens and natural wonders of the North Island (a 10-night tour) and the South Island (a 12-night tour) and a special pre-tour (3-nights) to the northernmost peninsula and the Bay of Islands. Travelers followed the burgeoning springtime in New Zealand as they traveled south. Along the way there was time to explore Maori culture, volcanic landscapes, and natural beauty of the Southern Alps and Milford Sound. Travelers were charmed by this verdant isle and its glorious gardens. This Grand Tour was offered in two parts. The first highlighted Dublin, Northern Ireland, and the wild western coast. The second began in Ennis and followed a path from the Ring of Kerry, around the south and back to Dublin. Travelers enjoyed gardens from the High Line in Manhattan to the botanical garden in Brooklyn before venturing up the Hudson for some very exclusive private garden visits even including a visit to Martha Stewart’s garden. Travelers enjoyed great palace gardens, Medieval castles, picturesque hilltop villages, Moorish ruins, and fabulous food from Seville to Lisbon on this multicultural odyssey. A special pre-tour to the city of Madrid was offered as well. This thirteen-day adventure began in Lisbon and moved North, with stops including Sintra, Obidos, Coimbra, and Porto before returning south to Cascais and Lisbon. From the grand estate garden to the Port vineyards to the museums of Lisbon, there was something for all the senses. The unique climate and landscape of this magical garden island off the African Coast provided travelers with an abundance of horticultural experiences. Towering sea cliffs, terraces of sub-tropical gardens, cable car vistas, historic markets, and palatial quintas make this island into a bit of paradise. The rich, tumultuous, and often tragic history of Germany was on full display for travelers exploring everything from the expansive domains of Prussian kings to the city gardens of modern-day Berliners. Travelers found a world of great gardens amongst the Medieval castles, hilltop villages, vineyards and Roman ruins in the region from Languedoc to the Cote d’Azur. Highlights included a boat ride on the Canal du Midi, the villages of St. Guilhelm-le-Desert, Minerve and Rousillion, shopping and sightseeing in the cities of Avignon and Nice. A post-tour extension allowed some travelers to stay on and visit Cinque Terre. Superb scenery surrounded every garden as this tour visited Lakes Maggiore, Como and Garda. Stops off in Verona and Padua led into a few final days touring the islands of the Venetian lagoon including Murano, Burano and Torcello. Just 30 miles north of Seattle, Whidbey is the largest island in Puget Sound and is home to extensive forest and farmland as well as some of the region’s best gardens. Travelers left from Portland for three nights on this special island. The return trip featured mainland visits to Far Reaches Nursery and Heronswood Nursery.